Postpone your relocation to another day. Prepare yourself according to the weather and go according to the plan. Wait till the monsoon ends and then relocate. Let’s think over our options. The first option seems practical but a day won’t make any difference if your rainy season is on. Each day is as unpredictable as the other. Now, if you plan on waiting for the monsoon to end, it’s quite late already. You must be relocating due to job or studies and in both the cases; you have a specific date of joining which you have to abide by. Now let us focus on the second option. It is legit and truly practical. Delaying your relocation ain’t gonna help. Hence, we must work hard and smart and prepare ourselves to meet the great hurdles waiting for us on our way to our new home. Use professional help: Hiring packers and movers for relocation is the best decision for every season and time. However, during monsoon, it becomes even more important to let the movers and packers do the packing and moving for you. You need waterproof material for your goods. They need to be packed securely so that there is a way for the water to reach the items. Also, the transportation is needed to be done as quickly as possible. We all are aware of the condition of roads during the rainy season. Therefore, only a professional driver must be allowed to drive the vehicle. All these facilities will be provided to you if you take the help from the relocation service providers in your area. The packers and movers in Jaipur will help you every step. Check the new house or office for leaks and water clogging: Before shifting, visit your new area of residence or workplace to ensure that the building is not leaking and the water is not clogging, especially in and around the ceilings of the rooms. If anything is wrong, get it fixed before moving in. Prepare your moving essentials kit: You may be going to your new house by car, bus, or train. Prepare a small bag with all the important items such as a first aid kit, and umbrella, dry snacks, water, and a set of clothes for each member. This will help you in times of difficulties such as delay, etc. Make sure that everything is taken care of before leaving your old place: It will be very difficult for you to travel back and forth again and again during the monsoon. Therefore, be certain that you have done everything which was needed to be done and packed everything which was needed to be packed before leaving your house. The journey is already too long and it becomes longer and more stressful during rains. So, be prepared! What Are the Biggest Challenges for International Relocation? Alien weather: No matter how well you acquaint yourself with the weather of the country you are going to live in, your body is adapted to the Indian climatic conditions; therefore, when you suddenly experience chilly winds and snow in May, you may fall sick and suffer. To cope up with this issue, check the weather conditions right before leaving your country and prepare your clothes accordingly. If you have children, avoid taking them out for too long in the initial days. Once the body gets in the habit of the weather clock, warm clothes are enough. Unfamiliar legal processes: Every country has a different set of rules and laws. You may commit a folly even without realizing it. So, you must get in touch with an expert legal assistant who will help you understand the laws. You must set up in the social security system, obtain a specific ID card, pay town hall tax, and other stuff. If you overlook these things, you may get into a lot of trouble. Perfect relocation: This issue pesters the people before they relocate. You must know how to relocate in such a manner that everything is managed well in your country as well as in the destination country. For that, you need expert movers and packers who will help you not only in moving your stuff but also by offering you all the legal assistance required during this international transportation. Getting perfect relocation service is even more comfortable if you are currently staying in Jaipur as the packers and movers in Jaipur are quite experienced in international shifting. The quest for social outlets: In India, especially in the smaller cities, the door of one’s house is the social adda for the entire colony. Also, we know all about the local clubs, restaurants, parks, etc. However, things are slightly different abroad. You will not find aunties sitting and combing hair at the doorstep and chatting with other aunties. Also, most you are not well- versed with the local food outlets. For this, you need to explore and be open to new things. Make friends with your neighbors and let them take the lead. Integrating with the local community will make long-term relations. Moving overseas to a different country? Great! We are sure that you must be very excited about this drastic change in your life. Settling in a foreign country is just like beginning a new life. Everything is strange and alien in the starting but gradually you adapt to all the changes and things, places, and people become familiar. However, we cannot deny that leaving one's country is heartbreaking. In fact, even leaving one house and moving into another which might be in the same locality is hard. So, just imagine what goes on in the minds of those who have to leave not the locality or city but the country. Now overseas relocations happen due to many reasons but the good part is that almost all the reasons are positive. You might have been promoted in your office and transferred to another country, or you would have got a new job in some distant land. No matter whatever the reason might be, it will definitely be pleasurable for you. Perfect International Moving Solutions: Our team works in an organized and systematic pattern. 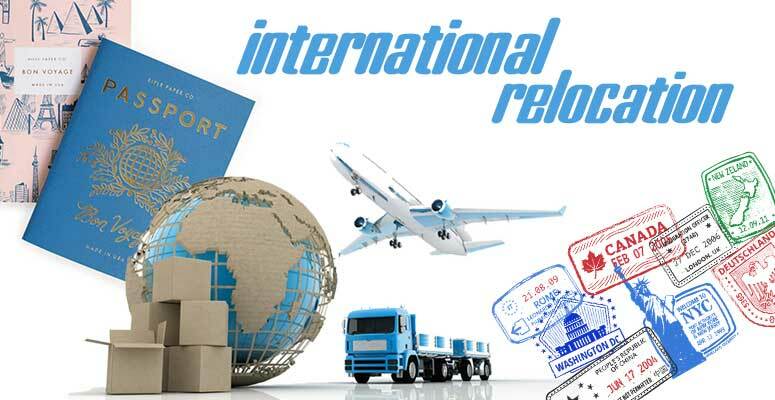 Long distance relocation, especially international shifting involves legal interactions and paperwork in both the countries involved in this transfer. A slight carelessness will result in severe problems; hence, we offer such movers who have complete knowledge of all the documentation works required in international relocation. Apart from that, they also use the most high- tech and latest equipment and secured packing supplies to pack all the goods in such a manner that they are fully protected from harm. Our moving companies offer insurance policies to the clients which help recover any loss caused during the process. Since your relocation is the international type, we strictly recommend you to avail these policies and protect your goods. Furthermore, we are committed to providing the most amazing services at the most affordable prices. Therefore, you do not have to worry about anything at all. It is our promise that you will recommend us to everyone you know whois going to undertake a relocation in the future. Our packers and movers service is optimum in quality. Exhaustion of resources in the previous place. Need for a bigger area. However, there can be other reasons as well. No matter whatever the cause of the movement might be, shifting causes loss of income. How? Well, when you are busy with the shifting process, your factory can’t get into production of goods and perform any other work; hence, zero profit. But regardless of everything else, the packers and movers in Mumbai ensure that you suffer minimum loss and shift very quickly. A new space is exciting to seek. You will be able to explore more, make use of better opportunities, undo the faults in the set up that you might have done in your previous workplace, and get upgraded as well. However, the shifting process seems daunting, doesn’t it? The troubles become even more heightened if you have never coordinated a move before. But with the right movers and packers, there is absolutely nothing to worry about. That said, we must also understand that the process of shifting an industry from one place to another needs careful planning. Even the smallest mistake can wreak havoc and cost you thousands and lakhs of rupees. Apparently, you don’t need to worry much about it as we have some tips which can help you break down the process into simple steps which will help you cover every single detail and work on it. Plan: A perfect plan will be your best friend during these times. Note down all the things you need to do before moving to a new workplace. Discuss all the details with all the heads and in- charges of your factory and take a note of what they say. Also, hire the best packers and movers. Time: Once you have noted down your prerequisites, you need to divide all the tasks and allow them their time of completion. Everything should be done on a priority basis with the most important work on top. Also, make sure that you don’t spend too much time on a single thing and leave no time for the rest. This will just delay your actual shifting process. Deadline: Set a deadline for everything. There must be certain things which require more than a day’s time and some of which can be done in a few hours. Allocate time to everything and don’t exceed the limit. Do not procrastinate and put things off for later. If you do this, no moving company can help you in saving time. Share: Do not hesitate in taking help from your friends and team members. Share your tasks among other members of your factory. Don’t try to take all the responsibilities on your shoulders. The more work you divide; the quicker relocation you ensure. The movers and packers will help you at every step. You don’t need to stress yourself when they are by your side. Also, perform your duties with utmost sincerity and you are all set. Home relocation is a very tricky task to do. It requires a lot more than just your money. Your hard work, time, concentration, and care in abundance are demanded by this process in order to make it successful. All of us want to have a fine and jolly moving experience and for that, we are ready to go to any extent in terms of efforts and money. Yet, we fail in achieving our desired goal and waste a lot of what we put in. Do you know why? Well, earlier people used to believe that only if you can invest a lot of money can you ensure a successful relocation. However, it is not true today at all. Now, you have to invest a small amount in the best packers and movers in Mumbai and you are good to go. These packers and movers companies specialize in handling the D-day tasks such as packing and loading; therefore, you can totally depend on them for this purpose. Bill clearance: You will definitely not like if your newspaper service calls you at your new house demanding the money of the previous bills, or the broadband guys calling you again and again for a renewal of package. It is best if you take out a day just to clear all the bills and dues of every service you avail in this house. Change your address: Imagine going to your previous house every month to collect letters, applications, bank statements, etc. couriered to you in that home. Also, your address in the bank passbook also serves as an address identity proof in every government and non- government works. Hence, it is mandatory for you to change your address everywhere. You can apply for the change of address in your adhar card, driving license, and elsewhere too. Get all services functional: The main task for you after relocation must be to get a TV connection, broadband connection, newspaper service, etc. Electricity and water should be taken care of before moving into the house. Proper unpacking: You must unpack your items wisely. One room at a time should be the rule that you must follow. Unpack the essential items first and the not- so- important once later. Change locks: Now this step is important before relocation if you are not selling your house and it remains your personal property. You cannot go to another city to check for the safety of your house every time. Although you have all the keys to your locks still it is best if you change them before leaving the house. Now when you enter a new house after relocation, this rule is applied here again. If you have got your own house constructed then it is a different scenario, but if you are moving to a rented house or a new apartment, you would want to change the locks for security reasons. Change: Change is the law of nature. Nothing remains static and fixed; so why should you? Living in the same place, walking on the same streets, living in the same colony, doesn’t all of this sound boring? No matter how wonderful your previous place of residence is, at one point in time, you need to experience a change. You need to explore and look out for better opportunities. This is exactly what relocation gives! You get to move to a new city, so all over again it is like a new relationship in which you get to know more and new things about your partner (your new city) and let it know you. A chance to leave the bad things behind: Relocation gives you the opportunity to leave everything negative behind and start afresh. If you have some bad habits such as smoking, you can take a pledge that one you leave this city, you will quit smoking. If you have had any bad experiences, this is the time when you can forget your sorrows and build a new life for yourself. Better opportunities: In a new city, you will get wider and bigger opportunities in terms of literally everything. You will get better colleges and schools, jobs with excellent profiles, and much more. A city like Udaipur has a lot to offer but you can only get it if you explore the city carefully and give your time to it. If you have movers and packers with you, you can hand over the tricky part of relocation business to them and take out some time in knowing the city. Once you find out the strength and weakness of the city, you will know yours too. Improved lifestyle: Now this is something which comes in complimentary with shifting to a better place. As discussed in the previous point, Udaipur offers the best of the best; hence, it will also make your living standards better. You can dream the dreams you never thought you could. If you are moving to Udaipur from a hi-fi city such as Delhi, you must know how impossible it seems to build your own house. But now that you are in this lovely, you can buy land and construct your house or buy a cozy home for yourself. Everything good happens with relocation. Yet there are some drawbacks also. You will have to leave your comfortable life, your friends, loved ones, old house, and just move with your belongings and memories. However, today social media has brought the world close. So, we feel that it is quite a small price for such wonderful things which will happen in your life if you move. Make your shifting a happening memory with the best and most effective packers and movers in Udaipur. Before reading any further, let us inform you that the best way to move is by hiring packers and movers. Be it packing, lifting and loading, unloading, or unpacking, you cannot match the level of perfection which the professional movers and packers achieve. The reason is quite simple- that’s their job; that’s what gives them their bread and butter. Yet, at times, you might have to perform certain activities on your own and you must be prepared for it if you want to ensure a smooth relocation process. We will go through the packing tips in the next article. In this one, we will focus on the various lifting techniques which can help you during shifting. We have outlined the main principles of the secure lifting of heavy items and pieces of furniture. The most important thing to keep in mind before lifting any heavy item is that you should not try to hurry up and be in haste while handling them. This is not going to help you at all! On the contrary, you are just increasing your problems if you try to speed up the process. Firstly, you may harm and injure yourself if you hurry. The objects are heavy and can hurt you badly. Secondly, you can damage the goods as well. A slight damage to your electronic appliances or furniture will result in loss of money. Thirdly, you will be late in performing the next steps as well. The next thing to remember while lifting heavy objects is that you must never lift your fingers and hands until you are sure that you have total hold and balance over the object. Also, make sure that you have checked your list of tasks to complete before moving. The third important thing is to clear the exit paths. Ensure that there are no obstacles in your way. Cluttered items on the floor come in the way and cause accidents. If you have children, make sure that their toys are cleaned from your way of movement. Do not let anything jeopardize yours as well as your goods’ safety. Once you are certain that the path inside the house is free from hindrances, take a tour outside the house as well. You might be helping your relocation service providers in moving. So look out for a clear pathway from your door to the truck. Wear appropriate footwear. Don’t lift objects with your heels on. Also, don’t wear slippery shoes and slippers. Wear the most comfortable footwear which has the maximum grip. It is best that you wear sports shoes or canvas shoes while lifting heavy objects. They will not only provide the best protection your feet but will also give you speed and comfort. Never ever try to lift heavy objects on your own. That’s a rule! Call your friends and ask them for help. But once again, we will like to remind you that it is best if you take help from the tried and tested professional moving companies. You don’t want to risk your safety at any cost. They don’t cost much and provide 100% safety to your goods. Do not underestimate the task of relocation. It is not at all easy and convenient. A slight rashness or wrong decision can create havoc and cause your great loss. So, be wise. Save money and hire the best packers and movers in Jaipur. Jaipur is an alluring city nuzzled in the state of Rajasthan. It is famous with the name of Pink City. It is one of the major city of the state and has a great tourism relevance. Jaipur is one of the fastest growing economies of India. Since this city is emerging as a ragging economy and therefore the number of migrants is increasing annually and with increasing migration and people shifting more and more within the city a new business of packers and movers is gaining a big hype as well. The city is inclined to historic culture and monuments. History signifies love towards things that are old yet close to heart. Minutely working on these combined needs of our clients in the Rajasthan state, packers and movers in Jaipur ensconced their feet in the city to help the people move safely and in a secured manner. 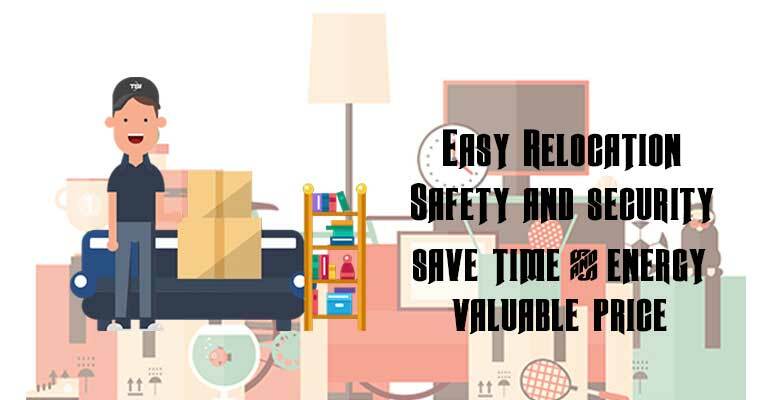 Packing all your stuff-Packing services provided by packers and movers make your shifting much easier and organize all your stuff and pack them according to the size and need of the material. Loading it safely to the truck carries- After packing all your stuff perfectly the next step is loading them into the loader truck. Packers and movers take full responsibility for all your belongings and make sure that none it gets damage while loading. Transporting them to your target destination- Once all your stuff is loaded then next step is to transport it to your target destination and that work is also done by packers and movers. Unpacking your belongings safely- Many packers and movers companies unpack your stuff for you so that all you are left with is placing them in the right place. 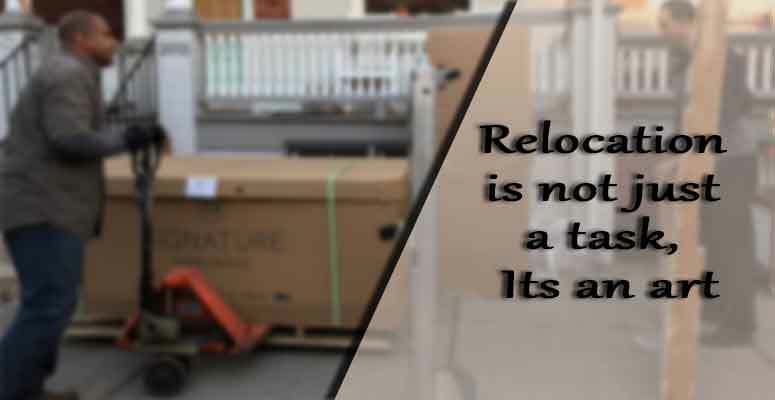 There are various other services that are provided by these house relocations services that make your whole shifting experience smooth and clear. Vehicles transportation service-Shifting your vehicles to another place could be quite a stressful task especially if you are not planning to travel to the new one by itself. Therefore, you definitely need a helping hand. In such a situation, packers and movers not only relocate your household belonging but will also relocate your vehicles which is just a cherry on the cake. This service will make you more stress-free. Warehouse services- Packers and movers services are a little bundle with enormous impact. Packers and movers provide warehouse services to their customers which is no then a blessing in disguise. Think about all those heavy belongings that you need to store for some time before packing well this problem is now solved by packers and movers. Yes, they don’t just pack all your stuff and move it but also store it safely if you need them to. Movers and packers make your shifting experience less hectic and they are also very reliable. They possess a team of highly professionals who will take care of your belonging and you will have to take no tension. What are the Benefits of Hiring Packers and Movers? Moving your goods from your current place of work or residence is both tricky and tiresome. It is stressful even if are just moving two blocks away and even when you are changing countries. 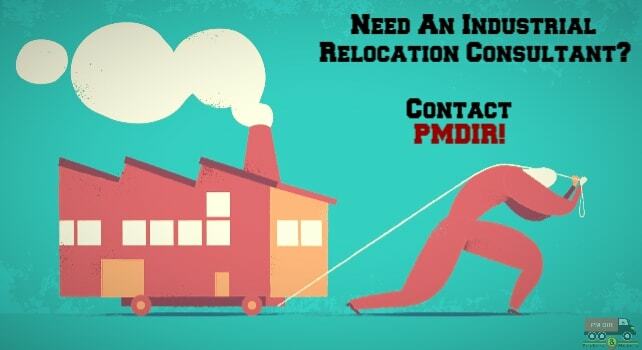 Fortunately, you have PMDIR to assist you at every step of your relocation so that you can move without any fuss and loss. The priority of every person who undertakes relocation is the safety of his belongings. Regardless of how vast or not his wealth is, he wants to keep everything safe and sound. The goods are not just the money he has put in but also the memories and affection that those things have gained over the years of possession. So how can anyone bear to lose such precious items? The growing trend of relocation has resulted in the increase in the number of packers and movers throughout the world. Now you will get good movers and packers everywhere. However, in a growing and developing country like ours, it is still not feasible to find a trusted moving company in the smaller and minor parts such as towns and villages. Nonetheless, a team of intelligent, educated, and socially responsible members came up with the idea of a website like PMDIR which functions like a directory for packers and movers. Here you can find packers and movers in Aurangabad as well as the rest of the country. Efficient, quick, and safe packing: Most of the people fear the preparations related to the relocation process. The greatest worry for every person is finding the right boxes and packing goods in the right manner. Loading and carrying them is another great hurdle to cross. The professionals are trained for this job. They have the knowledge and experience that we lack. They know the correct tricks to make the work simpler and faster. When you have a good moving company by your side, you don’t need to worry about the safety of your items. You don’t have to fuss around for buying proper packing material. They will handle everything sincerely and deliver your goods undamaged. Comfortable relocation: The whole process of shifting becomes a lot easier and comfortable when you depend on movers and packers for the packing and moving part. They will pack your goods more quickly than you could ever pack and load them on the truck very swiftly. You can learn the tips, tricks, and methods of packing and loading goods from YouTube or Google but you can never learn the speed and neatness with which the professionals work. They have experience and deep-rooted knowledge. You can have a background check of the company you’ve hired by visiting their website and going through the customer reviews and feedbacks. If you have a good movers and packers company you have given your belongings into good hands. Therefore, you need not worry about anything. Also, you can track the location of your goods while they are in transit. Apart from that, your goods will be insured so you can recover any loss if caused. Additional Insurance: There are many kinds of insurance which should be opted for. All the good and trusted moving companies inform you about such insurance policies. You need to spend a petty amount and all of your goods will be insured. So all the damage will be recovered in the form of money. The packers and movers have made the task of relocation very safe and speedy. You are just a few clicks away from meeting the best moving companies. So, Go Ahead! There are any fraud packers and movers out there who will look totally genuine and trustworthy. They will work just like the registered movers and packers and once you get into their trap, you will lose a lot more than money. 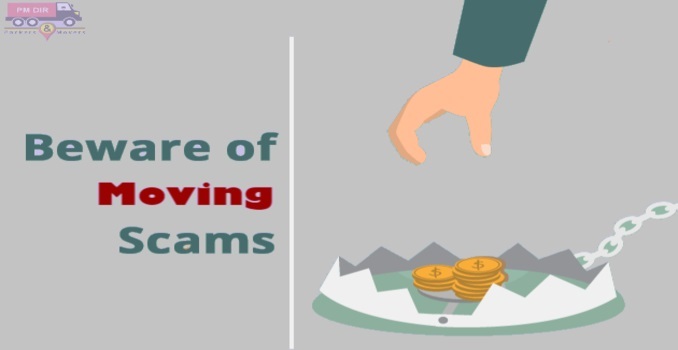 Since the technology is becoming so advanced and feasible, it has become extremely easy to set traps for innocent customers and clients. 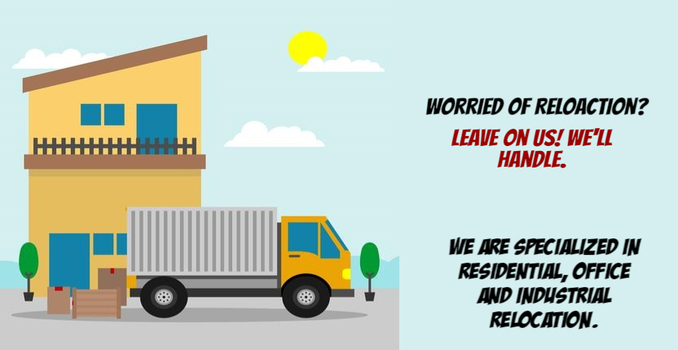 But as they say, ‘every bad thing can be avoided with a little precaution’, we have a solution for these fake packers and movers in Nagpur. However, we don’t promise you that you won’t come across such shady moving companies or that they will cease to exist but we do assure you that if you follow the tips written below you will easily save yourself from their clutches. Always look out of authentic and high- rated home relocation service providers. Make sure that have positive reviews, functioning customer care unit, and is willing to offer you an estimate without charging any extra money. If you are doubtful about the authenticity of the movers and packers, ask the customer care unit to offer you the legal documents such as registration certificate etc. Also, if there are feedbacks from previous clients, you can contact them through e-mail as well. Compare them with other moving companies and see if they are competitive enough and appear legit even when other companies are on the list too. Unusually reduced prices and increased services also signify some mystery unless a special discount offer for a limited period is going on. There are many fraud companies which copy the names of other famous brands and change them slightly. People without realizing that it is a different company, hire their services and are looted. Make sure that when you look out to a brand, you access its original website only. Don’t hire just any moving company only because it provides the lowest estimate. This is the simplest and most common trick used by the shady companies to attract clients. On the day of moving, if you feel that the movers and packers are not working properly or appear to be dubious, take immediate action. Make sure that you have the copy of insurance papers with you right from the fixing of the deal until all the items are moved and unpacked. The best way to avoid getting trapped is by hiring them from India’s most trusted online directory for packers and movers, PMDIR. Here, you will only get legit moving companies with the best deals and services. The staff of every moving company associated with us is honest and sincere. The chances of mishaps are almost zero. Moreover, if, by any chance, anything goes wrong and your goods are disturbed, the moving companies offer full insurance coverage of the loss. Hence, you are saved from any and every loss. Most of us are unfamiliar with the current advances and trends in the moving culture. We don’t know about the latest goods and their prices. The little information that might come to us will be through the packers and movers we hire. But how can you be sure that the things and rates they use and tell are the best and most appropriate? Well, there is no straight and simple way to find it out. You can google it out at best. However, at PMDIR, you will get all sorts of information regarding moving and packing and how to handle it. The informative website helps its clients in every possible and important way without charging a single penny for the job. 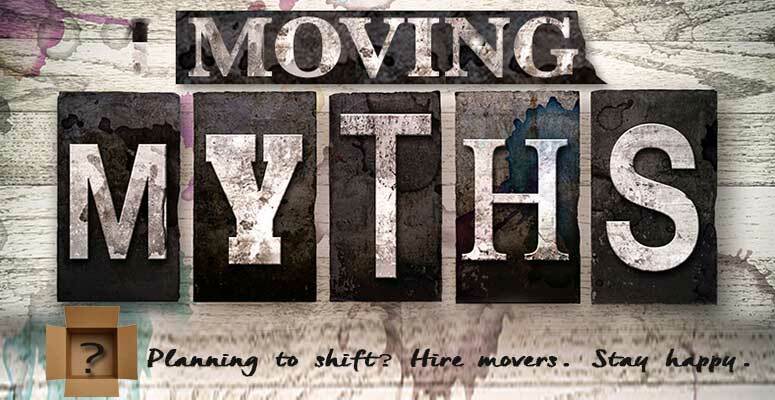 Moving Myths One Should Be Aware Of? Planning to shift? If yes, then you must be under a lot of stress and tension during these days. In times of overload of work and pressure, even easy things start to look tough and problems which are not even really seem complicated. In fact, there are many hoaxes associated with relocation which make our journey even more challenging and nerve- wrecking. This is why it is important to have sufficient knowledge and true information about each and every aspect related to moving. You will be surprised to know that the greater part of the problems is just dust and myths. Moreover, when you have the Packers and Movers in Mumbai, your worries are already reduced to a minimum. With the help of professional relocation service providers, you can guarantee a wonderful shifting experience which is just sweet and swift. FACT: Unless you have most of the things required for relocation already with you, packing on your own can never be cheaper than hiring packers and movers. Packing and moving require appropriate packaging supplies and safe transportation. Taking charge in your own hands will never provide that level of safety. Secondly, it will just complicate the entire process further. To avoid such issues, it is advised to book the finest movers and packers in the city. You will be provided with a specific cost and that will be the only time you have to spend money. FACT: First question- HOW DO YOU SEE YOUR SOFA SET FITTING IN YOUR CAR? Now, if you play a trick and hire a small truck for your furniture and decide to take the smaller items in your vehicle, imagine the expenditure! Furthermore, you will have to take n number of rounds because by no chance will all the things fit in one go. FACT: If you think that instead of moving everything at once, you can move things slowly in a week’s time or so, then you are definitely wrong. This trick can somehow work if the distance is short but for long distance shifting, this is not even an option. FACT: This is the craziest myth people believe in. Most of them think that packing is the toughest challenge and what’s left after relocation can be done in a flash. NO! Unpacking is as tough a job as packing. Careless and unorganized unpacking can cause havoc in your new house or office. You need to be very particular about the boxes you open and make sure that the more important ones are opened first and then the less important ones. Furthermore, handling the crockery boxes with care is mandatory. Reinstalling the electronic appliances in your new place is another challenge. It is best that you let the packers and movers help you with the unpacking as well. If you be careful and wise, you can avoid any mishap during shifting. Just believe in the moving company your hire and complete your duties on time.